The players swap their positions like from CDM to RM suddenly after making changes to the defensive game plan during the game. 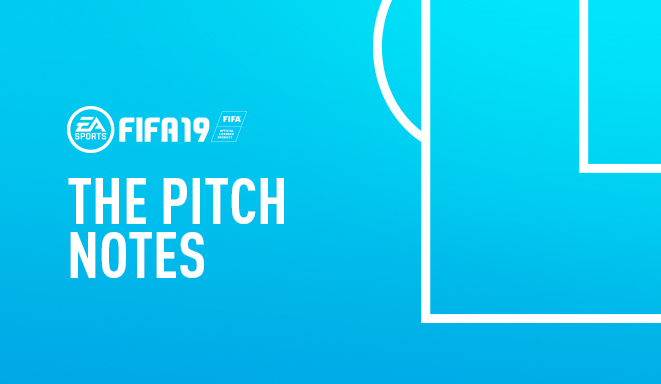 Welcome to The Pitch Notes: a deep dive into FIFA 19 from the people who make the game and from our community team. We’d love to hear your feedback on the new platform and gameplay announcements for FIFA 19! Will we get good referees one day?? Advantage law is very unrealistic since the very beginning in fifa 15 or 16 and has not changed ever since. Also, either there arent any fouls at all during a WHOLE MATCH or when there is one, it is almost always a yellow card at least for a simple foul. Also there should be an option to force fouls to stop a counter attack for example. With this fixed fifa 19 could finally be a super real simulator as all the rest is looking awesome! Any chance of allowing more than one player to do a 1:2? I like to combine multiple 1:2's so I make one player do a 1:2 and let them run ahead and pass to a third player and then get that player to do a 1:2 so I have two players making a run. Unfortunately in FIFA when I get the second player to do a 1:2 the first player stops making a run and comes back. There's no need to second guess me. If I want two players running forward I will tell them to run forward. Don't undo my instructions. 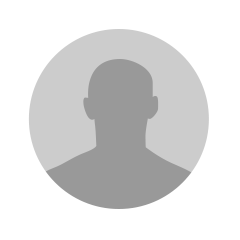 Please make sure to make the real face of Fabino from the liverpool. Jesus Christ you're obsessed with that. You do realise it could also be the Italian FA simply being annoying? I already told you, between EA and the FIGC, I don't know who's worse. I'll try to talk to them on Facebook, I'm not going to play in Serie A and I do not get the broadcast package. You're better off not buying FIFA for the next few years, then. the career mode players drop and pro clubs -1 after the patch is applied. For know f123ck reason. So i stopped playing the crap and gonne restart god of war or finish rather Horizon Zero Dawn. This is the worse edition of fifa i have seen ea develop 5 patches in one and half months. Wow. Played all fifa’s even the nonsense ones and been buying it yearly. This year is utter nonsense . Because of the developers. I don’t give f if user complained gameplay was fine for me. The game updates take forever to come out and squad updates are nonsense compared to last year as well. Adding cosmetics is worse. Faces should have been updated when the game was released and i would have done faces and other stuff in one patch not in 5 different ones. It is possible ea is just lazy, break down gameplay and cosmetics patches and do them separate. Stop trying to make people happy and work better and do Better. Me gustaria proponer que en el modo carrera se pudiera modificar el horario de los partidos. If outside the transfer window the player exchange was successful, the future change of my player to his new club is not noted in his status (in the menu "Squad Hub"). I mean for example this achievement: "Grow 2 Youth Academy players by at least 10 overall points. As soon as they have grown, play them in 5 matches, either as part of the Starting 11 or coming in as a sub."